One of you left a comment last week asking if I’d posted about favorite books from 2012… No, at least not until today: I came home from an early winter trip to Moscow with a cold that left me zombified through the holidays and then, I admit, I forgot. Looking back on my posts from last year, I see several titles that I enjoyed very much. I’ve linked previous posts to book titles. Patrick Ouředník’s Case Closed (translated by Alex Zucker from the Czech original Ad Acta) is probably my favorite among all last year’s posted books, thanks to absurdity and Alex Zucker’s wonderful translation. Joseph Roth’s Job (translated by Ross Benjamin from the German original Hiob, Roman eines einfachen Mannes) makes the list because of Roth’s storytelling, Benjamin’s translation, and a setting in the waning Russian Empire. Herta Müller’s The Hunger Angel (translated by Philip Boehm from the original German Atemschaukel) is another book with a largely Russian setting. I also appreciated word play that must have been difficult to translate. Ben H. Winters’s The Last Policeman, a detective novel set in pre-apocalyptic New Hampshire, might be my favorite English original book from 2012: Winters’s combination of humor and sadness works well. 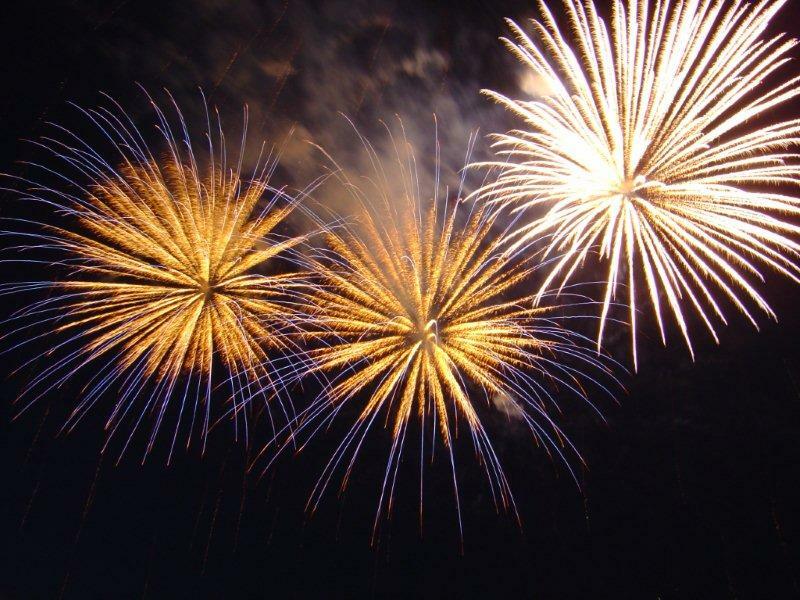 Here's hoping you're enjoying the new year! Disclosures: Included in previous posts. Up Next: Back to regular scheduled programming with Esmahan Aykol’s Baksheesh, then Kazuo Ishiguro’s When We Were Orphans. Therese Bohman’s Drowned, which I read in Marlaine Delargy’s translation of the Swedish original Den drunknade, is a neatly constructed, smoothly translated psychological thriller with lots of twos: two sisters, two visits, and two sides of one man. Drowned is suspenseful, in a matter-of-fact way, so I took some leisurely walks on the treadmill because I didn’t want to stop reading. I’ll go light on details to avoid spoilers. It is different now, sultry and oppressive, as if a thunderstorm is coming… My head feels fragile, as if a headache is just coming to life deep inside and will soon make its presence felt, sending out crackling impulses of pain that will thud against my forehead and my temples, as if I were inside a thunder ball. When I look closer I can see that the undersides of the leaves are covered in aphids, great black clumps of them, they are on the stems bearing the flower heads too, covering them completely so that the stems look thick and black, uneven. The more I look, the more aphids I see. Marina’s second trip comes in the fall: it’s now cold in Skåne but lots more than the weather has changed. My memorable plant in the cold part of the book was an orchid, perhaps because of the orchid’s sensitivity to temperatures. Or perhaps because I’ve found something vaguely menacing about orchids since I met Harold in Twin Peaks. Nothing in Drowned appears to be particularly complex and most of its plot turns are predictable in a “Don’t open that door!” kind of way. But it’s a smart book and Bohman uses her oppositions—Stella/Marina as star/water, hot/cold, winter/summer, and so on—in ways that help keep the story taut. Limited house space and characters enable Bohman to develop characters, along with their relationships, weaknesses, and fears, with tremendous efficiency. Delargy’s translation flows nicely and creates an appropriate voice for Marina’s age and moods. Everything works here. 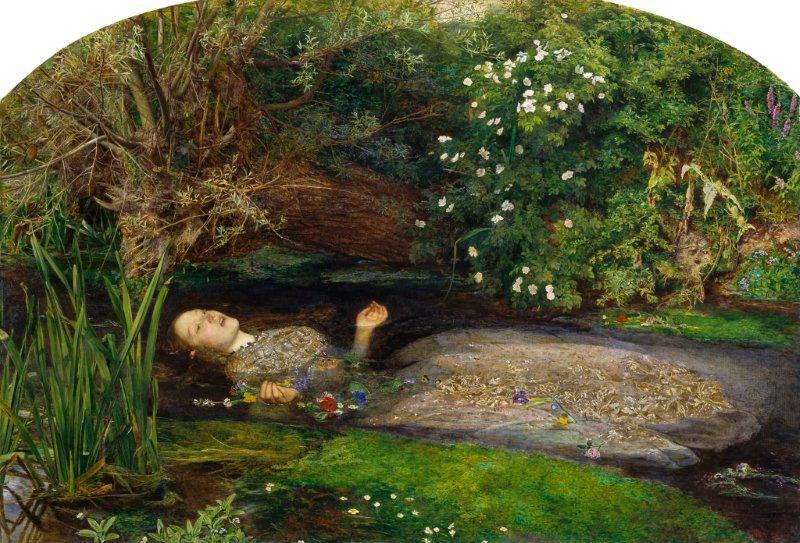 As for the title, let’s just say everybody’s drowning in some problem or other… and that John Everett Millais’s lushly creepy painting Ophelia is a subtext in the novel. Disclosures: Other Press gave me a copy of Drowned at BookExpo America; I enjoyed speaking with Other about translated fiction. Up Next: Zachary Karabashliev’s 18% Gray, which I also enjoyed very much. Image Credit: John Everett Millais’s Ophelia, via Wikipedia. I’ll start by saying I find it impossible to refer to Sebastian Faulks’s latest book by its official full name, so I’m shortening it: A Possible Life: A Novel in Five Parts. Call me whatever you like—primitive, reactionary, and/or uncreative—but without common characters or settings, either geographical or temporal, A Possible Life is, for me, a book of five stories of varying length. “Geoffrey,” about a boarding school teacher, cricketer, and World War 2 prisoner of war. I thought this story, which tells of camp atrocities, the boredom of undercover work with the French Resistance, and the depth of emotional aftereffects, was by far the best in the book. It felt the most elemental and the best constructed. “Billy,” the first-person story of a boy in Victorian England whose poor family gives him to a workhouse, where he meets his future wife. “Elena,” which tells of an alienated scientist in a not-too-distant future that feels vaguely dystopian or post-apocalyptic. Or something. This story felt especially contrived to me. “Jeanne,” the tale of a woman who cares for children and a household in rural nineteenth-century France. “Anya,” the interminable first-person reminiscences of a British musician’s affair with an American folk singer. This story is dated 1971 and contains a gratuitous reference to Anna Karenina. Faulks’s stories were almost fascinatingly vivid: they kept me just interested enough to read the whole book searching for common threads. The book’s back cover suggests that risk and searches for “the manna of human connection” link the pieces. I certainly can’t argue with that: each story includes a relationship or encounter that’s somehow risky, even taboo. There’s also often a feeling that chance—or fate, or the random factor, or whatever else you’d like to call it—affects characters’ lives. What felt strongest to me was the force of characters’ memories. Memory is a particularly strong element in “Geoffrey,” where the title character remembers cricket matches to help stay sane in a concentration camp. Geoffrey returns to teaching after the war but memories eventually send him to a psychiatric hospital. There are some nice touches in “Geoffrey,” particularly the contrast of communal sleeping arrangements at the school, the camp, and the hospital. Mentions of Geoffrey’s linguistic abilities were interesting, too, including this, “‘The best way to sound French is to imitate someone,’ said Geoffrey. ‘As though you’re acting.’” Later, when Geoffrey is forced to interpret for new arrivals, he uses courtesy words and improvises when he’s left at a loss for what to say, knowing what awaits the group. Wall Street Journal reviewer Sam Sacks wonders how readers will react to Faulks’s inclusion of details about the camps, concluding with this, “Some will be glad that Mr. Faulks has shrugged off the taboos that surround fictional portrayals of concentration camps to write them like any other historical experience; others may think it alarming that this singular event in human history is so open to being mined for popular fiction.” After reading Vasilii Grossman’s Life and Fate (post from my other blog), which felt more detailed, personal, and emotional in depicting a camp, I can’t say I found Faulks’s scenes as alarming as Sacks did simply because they were part of the story. I found the scenes memorable and effective. They were, necessarily, disturbing as they conveyed—with, I think, proper levels of respect and balance—a sense of how the extreme horrors of the war push the fictional Geoffrey to various forms of escape. I think Faulks plays with memory on a deeper level in all his stories, too, presenting characters and situations that are so familiar I could see the plot twists coming. This isn’t necessarily a bad thing: I love Vladimir Propp’s analysis of the basic plot elements of fairy tales. Unfortunately, I can’t say I thought Faulks was successful in creating a novel book of stories that I would call evenly transcendent or instructive in its use of archetypes. Put bluntly, most of the stories just weren’t interesting or unusual enough. I do, however, recommend the book for “Geoffrey”—and I’ll keep the book because of that one story—though I should say, out of fairness, that many readers seem to praise “Anya,” the story I found most tedious. I cannot understand why... though I suspect a reader’s favorite or most admired story in A Possible Life may be the story that acts most on his or her deepest memories, be they literary or life-based, good or bad. Disclaimer: Thank you to publisher Henry Holt for a review copy of A Possible Life. Up Next: Therese Bohman’s creepy and smooth Drowned.